We know this doesn’t have anything to do with a UTV or ATV, but it does have four-wheels; right?! Plus, the “Just Maybe” tractor built by Daryl Rath (owner of Rath Racing) and his late father has a twin 800cc and a twin 700cc Polaris snowmobile two-stroke engines side by side making it a quadruple cylinder! 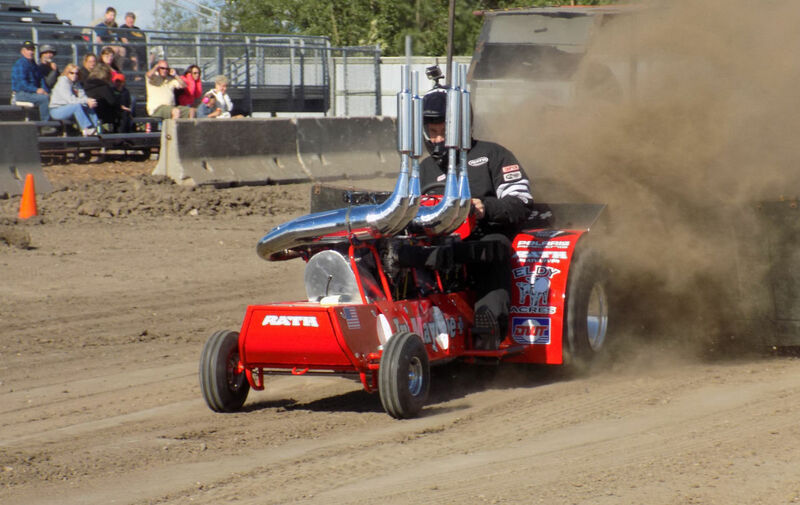 The strange engine combo was built to compete in the 1500cc tractor pulling class. We think Rath Racing should now build a UTV with that same engine combo, wouldn’t that be something! ?